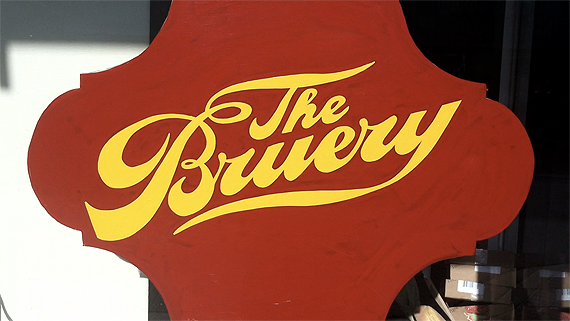 This time on Out To Lunch we visit The Bruery Provisions, located at 143 North Glassell Street in Orange, CA. It’s a specialty market and tasting room devoted to serving the finest in craft beer, wine, cheese, and a wide array of specialty foods. They’re a branch of The Bruery, an Orange County craft brewery specializing in Belgian and Experimental style beers which I’ve featured on the show several times in the past. I’m joined by my friends Don and Jason as they sample sour beers and we enjoy some great sandwiches. And while this seems to turn into how much I don’t care for sour beers, you should know that it’s a matter of taste. Patrick’s sour beers are world class, having won several World Beer Cup awards. Sitting on a patio with friends, drinking great craft beer after a long day of work is the perfect way to end the day. Visit The Bruery Provisions at brueryprovisions.com or call them at (714) 997-2337.